Feed rate of at least 500 kg/hr. Chip or shredder to cut long strands of swarf. Centrifuge for recycling of cutting fluids. Drier for removal of residual moisture before furnace charging. Handling equipment for transport of chips between each station. Combustion System - The burner system is designed utilising medium speed burners with integrated ignition and ionisation control. Furnace Doors - Robust construction with selected insulating materials for maintaining excellent seal when closed and easy access for cleaning. 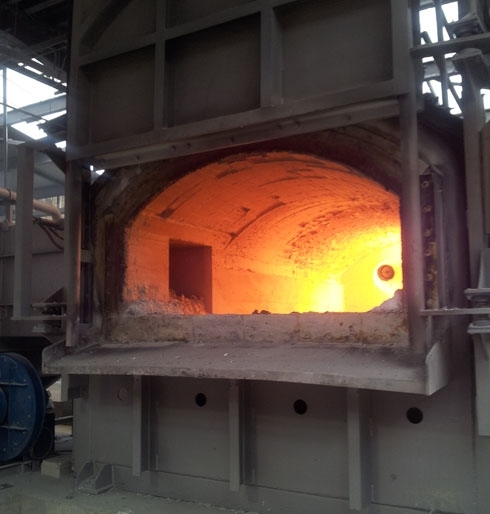 Charge Well - The furnace includes a compact charge well designed to ensure that chips are drawn into the melt and not oxidised on the surface of the melt.